Italy is an exquisite feast not only for the senses, but also for the soul. With unrivalled art, architecture, food and beautiful landscapes, the country brims over with a unique culture and energy that sets its quite apart from any other place in the world. Millions head over to Italy each year, and return with unforgettable memories. On the one hand, Italy is replete with man-made wonders such as art galleries, delicious food outlets and high fashion, while on the other, it is cradled by nature, dotted with majestic snow-capped mountains, volcanic slopes, picture perfect coasts, and so much more. 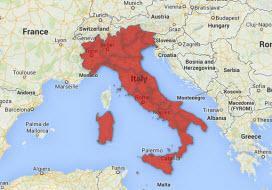 The perfect Italian holiday would encompass an experience of every one of these aspects of the quaint little country. This could lead to a few complications when you’re within a budget, but that’s where International Rail comes to your rescue. With an Italy Rail Pass from International Rail, you can travel across Italy, using its excellent rail network. More economical, comfortable and quick to cover miles, trains offer the best deal to the traveller, as you save time, money and best of all, get a comprehensive insight local lifestyle with the sights you witness. The birthplace of the Ferrari is also home to one of the world’s fastest trains – the Frecciarossa 1000, Italy’s high velocity trains that can attain the astonishing speed of 300 kmph. 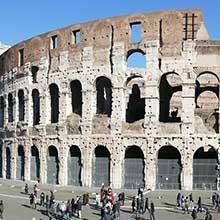 With an Italy Rail Pass, train travel in Italy becomes more easily accessible and convenient. For point-to-point travellers, Italy’s rail network has a train for every budget and you can get Italy Rail Tickets with ease at International Rail. Along with rail passes in Italy, we offer rail tickets and rail passes across international destinations at very attractive prices and with great discounts. If you’re looking to travel across multiple cities in Europe. What are you waiting for? 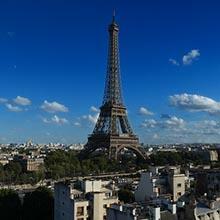 Create your own unique itinerary, book your preference at International Rail and begin your journey! 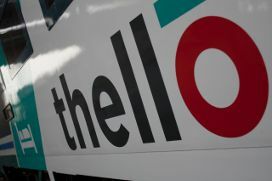 Thello offer overnight train services between Paris & Italy offering connections to destinations such as Bologna, Milan, Florence & Rome.